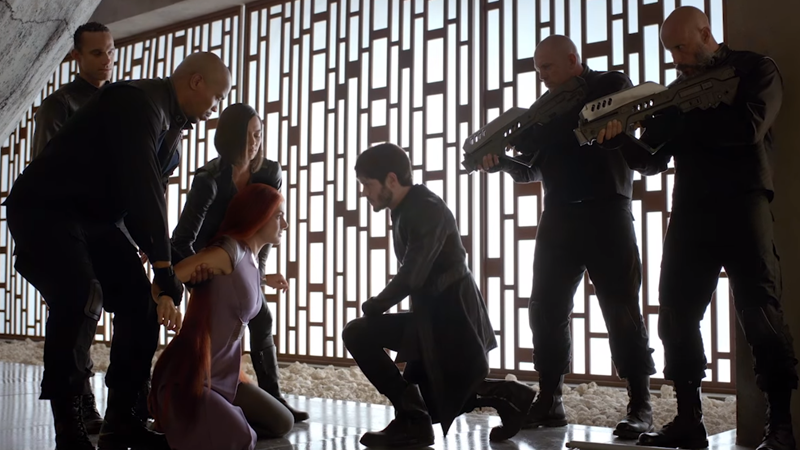 Our first proper look at the Inhumans TV show is here, and while the trailer is... rough, it does give us our first good look at some of the extra characters and wider Inhuman society we can expect to see in Marvel’s latest TV show. Here’s all the hints we spotted! The trailer starts out on the moon—which isn’t that surprising in the vast lore of the Inhumans, as their insular society has at times been located on what’s referred to in the comics as the “Blue area of the Moon.” They can move about so much because their home, the city-state of Attilan, is actually a floating city that, in decades of comics, has been everywhere from the moon, to the Himalayas, to even above New York's Hudson river. Meanwhile, Maximus (Misfits and Game of Thrones’ Iwan Rheon, sporting a questionable accent) tells his brother Blackagar Boltagon, a.k.a. Black Bolt (Anson Mount) “Sooner or later, the humans are going to find us up here. 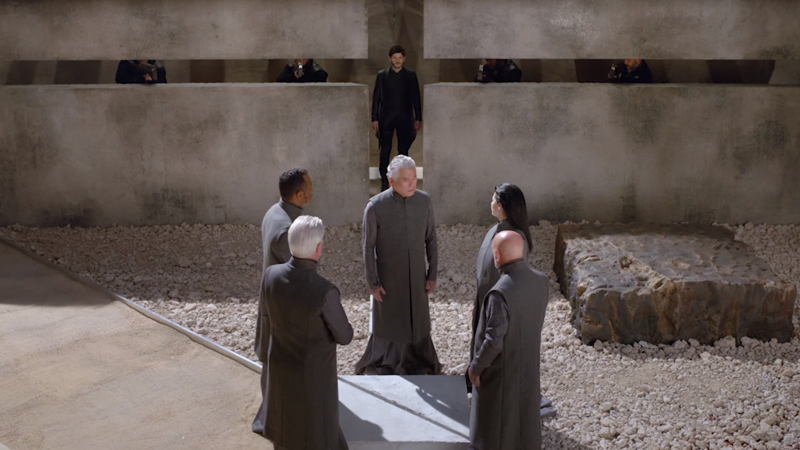 You should’ve known this day was coming.” We’ve known for a while that Maximus would be discontented with his Brother’s rule, and seemingly his policy of isolation from mankind, thanks to the first teaser trailer for the show. We also knew that a coup would see Black Bolt and the Royal family ousted from Attilan, so it’s no surprise that Maximus is leading the charge. That said, we don’t really get to see much of Attilan itself in this trailer—it’s got a very minimalistic aesthetic, judging by the confines of Black Bolt and Medusa’s (Serinda Swan) quarters. But the trailer is all very closely focused on the Royal family who we get to see having an uncomfortable dinner here. 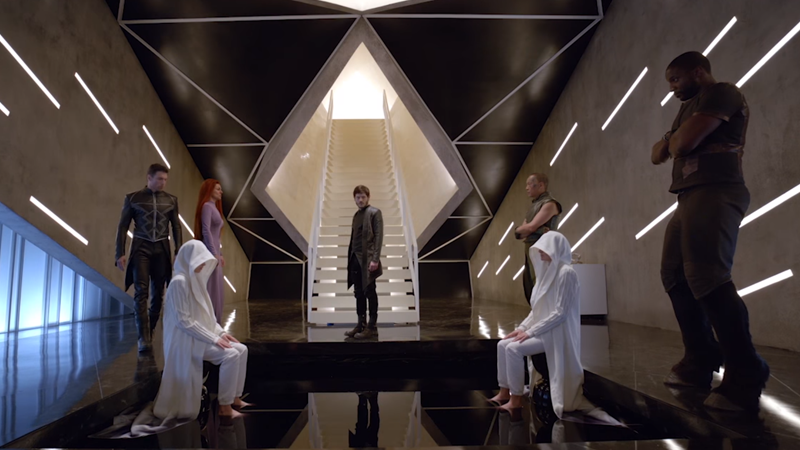 Counterclockwise around the table, from the left: Gorgon (Eme Ikwuakor), Black Bolt, Medusa, Crystal (Isabelle Cornish), Maximus (Iwan Rheon), and Karnak (Ken Leung). Maximus continues to drone on: “Are we supposed to follow our King, and remain as silent as he is?”, a not-so-subtle acknowledgement of the fact Black Bolt doesn’t speak, due to his incredibly powerful sonic shout abilities, which we get a tiny glimpse of later in the trailer. The importance of the two figures in white isn’t really touched upon, but this is our first actual full body shot of Gorgon that confirms the character does indeed have the hooved legs he has in the comics. The process of Terrigenesis—the exposure of people with Inhuman DNA to the Terrigen Mists—doesn’t just give people superpowers, but can lead to physical transformations too, like Gorgon’s. Maximus waffles on with his rebellious screed, as he is wont to do, demanding that the Inhumans leave the moon, going down to Earth and claiming their “rightful home.” He’s right—the Inhumans are descended from early humans, who were experimented on by the Kree to create the first Inhumans millions of years ago, so Earth is as much their home as it is humanity’s. Little does Maximus know that there’s plenty of Inhumans on Earth already, thanks to the events of Agents of SHIELD... which Inhumans will conveniently sidestep for now, as no crossover between the two series is planned yet. Seriously, Maximus does not shut up. Here he is again, this time rallying the Inhuman populace rather than pestering his immediate family. You’ll notice that these Inhumans all very much look like plain old regular humans—in the comics, it was not out of place for people with Inhuman DNA but not fully transformed to live in Attilan, before undergoing the process of Terrigenesis as almost a right of passage. Not every Inhuman does go through Terrigenesis, however—Karnak is a prime example, as he just trained himself to be a complete and utter badass through sheer will alone. Next up on the coup’s list of “people to imprison” is the Princess of the Royal family, Crystal, as she gets dragged away from Maximus in his throne. Note the lightning bolts carved into the walls behind Maximus’ throne—they’re the design that’s appeared on Black Bolt’s comic book costume since its debut back in 1965, liberally used here as a motif for the Royal family. 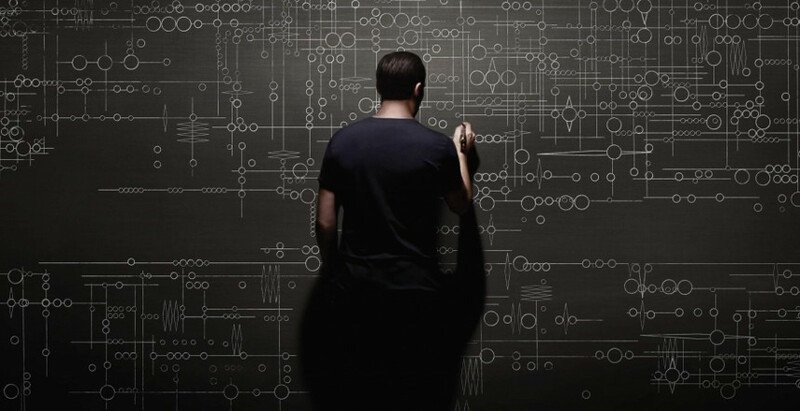 Another interesting point to note—the markings on the wall behind Crystal as she’s dragged away are pretty blurry, but seem to match up with the style of markings on the Kree city map Coulson drew back in season two of Agents of SHIELD, as the show just started to dip itself into Inhuman lore. Too bad Lockjaw shows up to whisk Black Bolt away before he can turn Maximus into itty bits. But hey, it’s Lockjaw! Beloved pooch of the Royal family, Lockjaw is a dog-esque creature who has the power of teleportation, making him very useful when you need to get as far away from your treacherous brother. 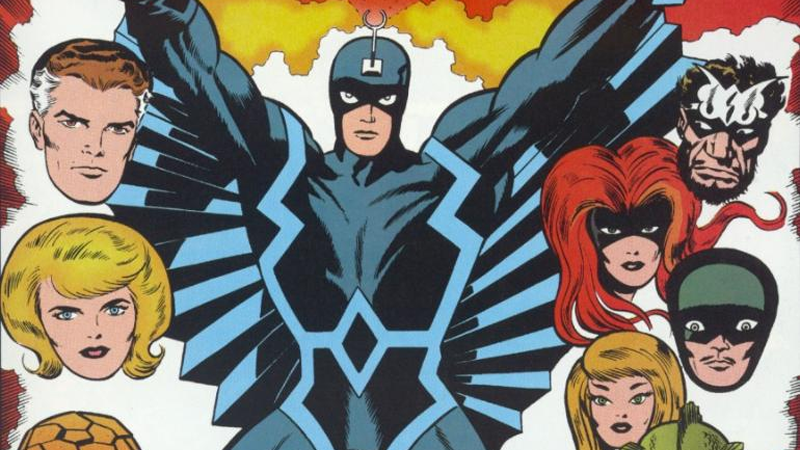 He’s a fan favourite character fans have been eager to see ever since the prospect of a live-action Inhumans project has been floated around. In the comics, he’s also very good friends with Kamala Khan, the Inhuman teen better known as Ms. Marvel, who could one day appear in the show... although judging by some of the responses to the trailer, some fans might be less excited about that prospect now. Lockjaw whisks a confused Black Bolt away to the middle of a Hawaii street—at least, according to the synopsis for the series, it is meant to be Hawaii. It’s hard to tell in this shot (and a bit easier on the previous side of the teleport effect) but Lockjaw retains the tiny little tuning fork in his head from his comic book design. And here’s your first look at another member of the Royal family previously unseen until now: Triton, Karnak’s brother, who can breathe underwater and has enhanced strength and speed. In the comics, he looks a bit more fishlike, but in the show, he sort of looks like James Marsters’ Piccolo from the infamously terrible Dragonball Evolution live action movie. The woman he’s fleeing with appears to be Ellen Woglom’s character, created for the show specifically as a human perspective. We don’t know her name yet, but she’s described in casting materials as an aerospace worker who is “smart, intense, and focused—so focused that oftentimes, social skills take a back seat.” It appears this action takes place on Earth rather than in Attilan—and considering we don’t actually see Triton on Attlian in this trailer, it’s possible Triton actually already lives on Earth, making him a useful ally for the fleeing Royals. This brief moment appears to be set before Maximus’ coup, given the Royal family is all together. 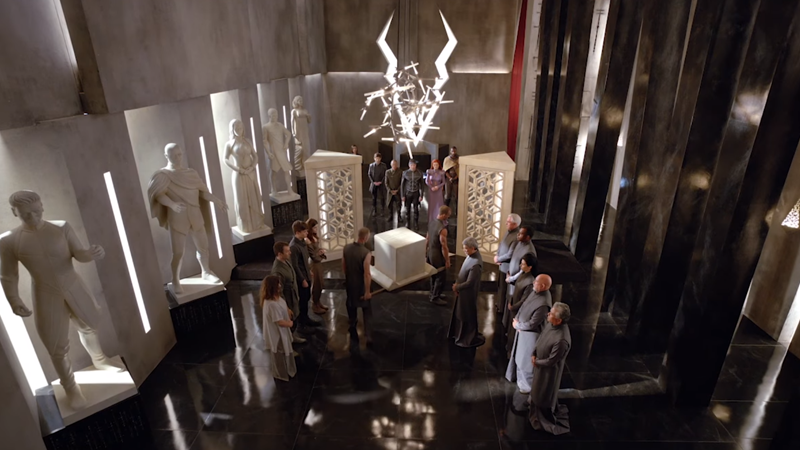 Their presence, plus the mysterious object being hauled in, and what appears to be both some ordinary citizens and some of those priests from earlier, it’s possible this might be a ceremony allowing people to under go Terrigenesis. This, meanwhile, is probably after the coup. Are they mining Terrigen crystals? Maybe part of Maximus’ plan to send Inhumanity to Earth is to unlock their powers first, necessitating more crystals. Black Bolt does his best Tom Cruise run from Hawaii police—this time, he’s out of his Attilan duds, so at some point he decides to go native in an attempt to blend in. As Black Bolt’s Hawaii PD friends catch up with him to give him a beatdown, we finally get to see a fragment of his power. The reason Black Bolt stays silent in the comics (there he’s telepathic, but in the show he’ll use sign language) is because his sonic scream is one of the most potent superpowers in the Marvel universe. Saying a single word can level streets, so as you can see here, even a brief moment of having the wind knocked out of him can cause some pretty major destruction. 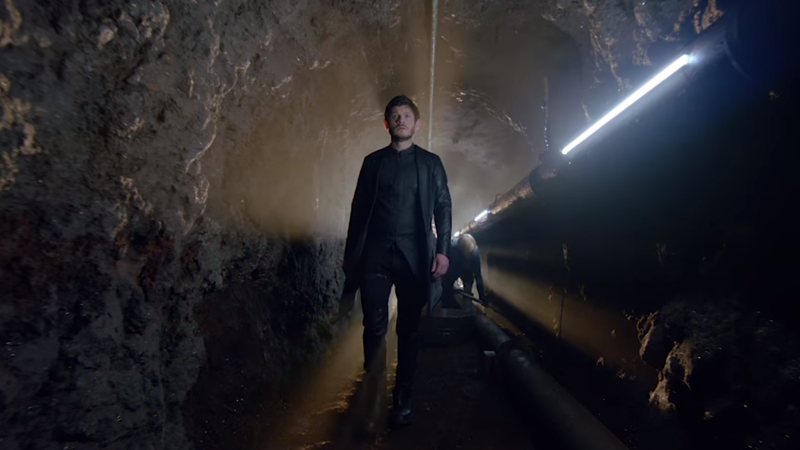 Finally, the trailer realises that what we’re really all here for is not Iwan Rheon’s questionable accent or even the Royal family themselves, who do very little other than stare disconcertingly or get captured here. So to celebrate, here’s more Lockjaw looking very adorable. It’s easier to tell here that his tuning fork headpiece is sadly not 100% to the comics: it’s instead a face marking rather than a physical object sticking out of his head. Who’s a good boy? He’s a good boy. This was not a particularly strong first showing for Inhumans, especially after less-than-raving reactions to our first look at the main cast last month. Although we got a few new glimpses of the wider premise of the series here, not many of those glimpses stirred more confidence (especially poor Triton). And yet, there’s still much more we’ve yet to actually see from this series—including pretty much what happens when the rest of the Royal family joins Black Bolt down in Hawaii. It’s still early days, so hopefully we’ll see some more exciting material ahead of Inhumans’ premieres in IMAX cinemas on September 1st, with the series heading to ABC on September 29th. A UK broadcasters has yet to be announced.